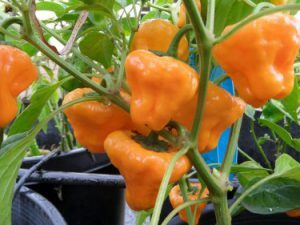 A very rare variety from Brazil that has a nice sweet flavor and lower heat than a habanero. 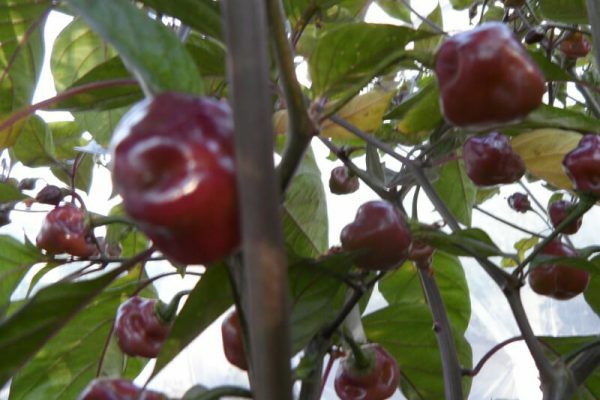 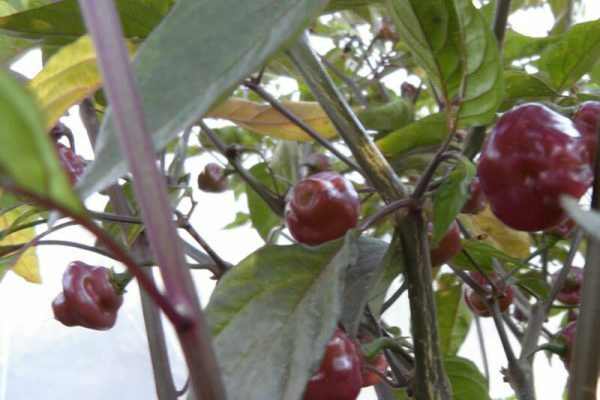 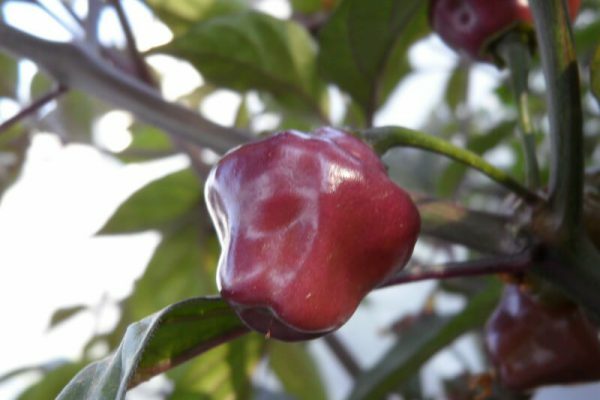 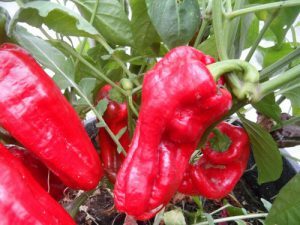 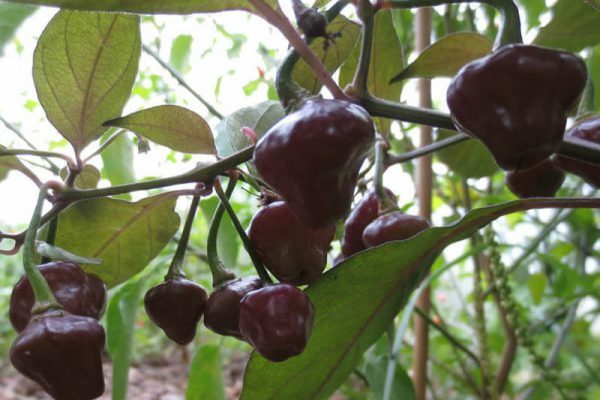 The Cheiro Roxa chile plant is one of the prettiest peppers you will ever grow. 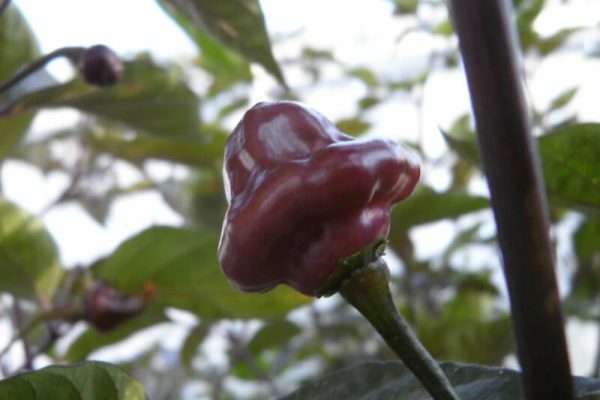 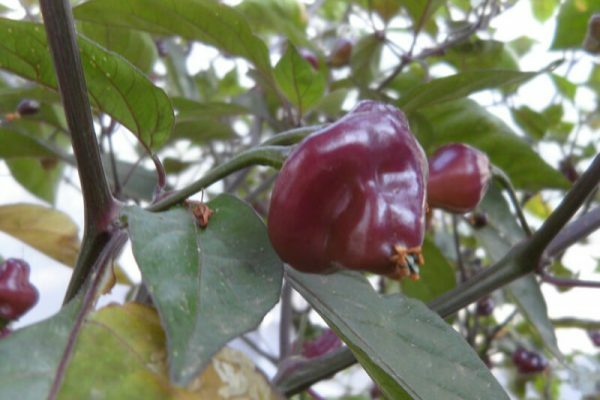 It ripens from a dark purple to a light pinkish purple color. 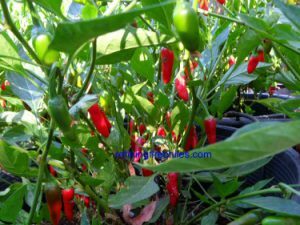 These chile plants are very productive. 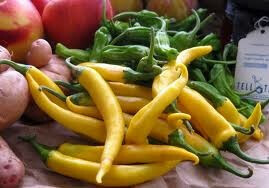 The peppers are about one inch in diameter. 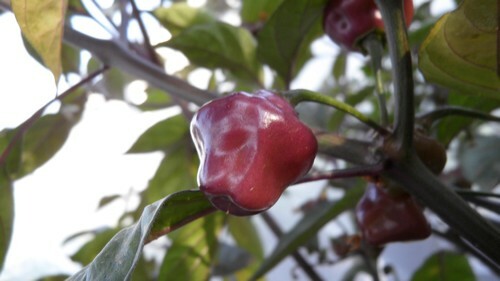 Cheiro Roxa chile plants grow over 3 feet tall.